When Wim de Wit stepped down in 2013 from The Getty Research Institute (GRI) after 20 years of overseeing architecture and contemporary art, and co-curating the Getty’s Pacific Standard Time: Modern Architecture in L.A., the design community wondered who could fill the vacuum created by his departure. This week, two-and-a-half years later, the GRI announced today the appointment of architectural historian and curator Maristella Casciato as Senior Curator of Architectural Collections. 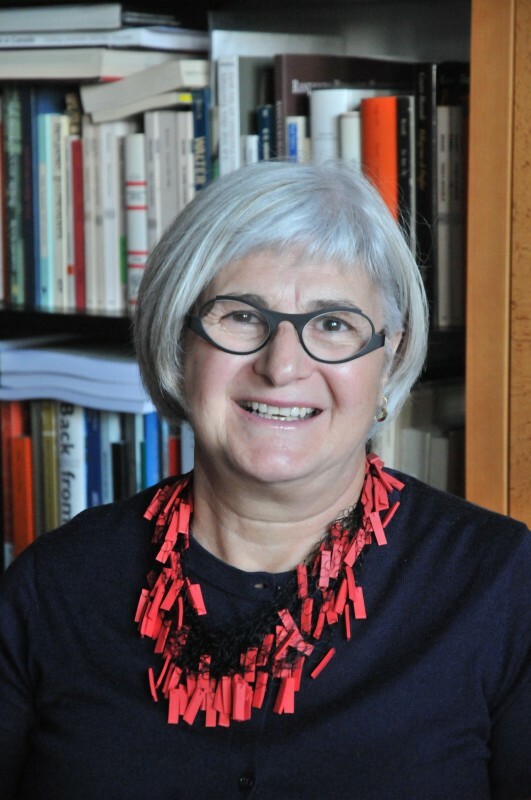 “Maristella Casciato is an exceptionally accomplished scholar and curator who is passionately committed to the study of architectural history and the preservation of architecture. She is the ideal steward for our tremendously significant architecture holdings,” said GRI director Thomas W. Gaehtgens. A historian with expertise in 20th century European architecture as well as research interests that include the architecture of postcolonial India and non-Western contributions to city planning, Casciato previously was chairwoman of the Do.Co.Mo.Mo and the associate director of research at the Canadian Centre for Architecture. AN reached Casciato by phone on her second day on the job. The Architect’s Newspaper: Welcome to Los Angeles. What are some of your hopes and plans for the architecture collection at the GRI? Maristella Casciato: Well, as you know, architectural work is changing and so is the scholar’s work in archival documentation. As a professor for almost 40 years I come from a research environment, and I’ve seen my own scholarly research going very much towards multidisciplinary and the field is expanding. If you look at the GRI collection as it is now, it is great in terms of architecture, with a variety of collections and data and different media. But in terms of architecture, the archives are distinct: You have the Southern California archive; you have the Avant Garde archive. What I wish to do, really, is to try to break all this separation. My scholarly aptitude is for finding and developing micro-histories—connecting or networking some of the documents or the protagonists of one specific movement to another field. And that’s what I like. I like to break borders. Instead of boundaries I try to merge histories. And I also insist that instead of case studies, micro-histories can become a paradigm for wider thinking. So, it’s not necessarily about fixing any one building in time but about telling the story of a series of people and projects across time. Yes, this is my way of working on architectural history. It is extremely important for architecture because if we think of architecture as frozen within boundaries the we will keep going with the existing cannon—this is avant garde, this is not avant garde, you know, the classification. Why classify something simply as postmodern when the process is interesting? [Architecture] is not only the result, but it’s the process. Looking at process is a way to engage with the producers and you look at them as part of an overarching development, which could be artistic or cultural. I know it’s a bit challenging, but in many fields I see that this is going on, so I think we have to also bring this to architecture.